The Original Muck® Boot Company story began in 1999 with the sole purpose of building the most comfortable, high performance footwear on the market. 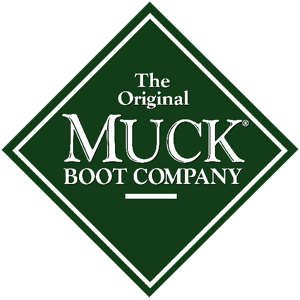 The need for a more comfortable boot for use in messy and tough conditions led to the design of The Original Muck® Boot Company branded footwear. Every boot in the line is expected to deliver the same 100% waterproof quality and comfort that inspired the original footwear. In just a few years, the line has grown to over 60 styles of rubber and leather footwear, all designed to tackle tough conditions in work, agriculture, lawn and garden, outdoor sporting, equine, urban commuter and pet care markets. Today, the Muck® Boot brand defines a standard of comfort and quality that goes beyond the expectations of customers around the country. Quickly establishing a strong and loyal customer base, the brand has become one of the fastest growing lines in the waterproof footwear market. All Muck® Boot products are 100% waterproof.